Over the years, phones have transitioned from devices used to vocally speak to people, to a mobile device that can also communicate over text messages, and have recently transformed into a portable computer that we carry around in our pockets virtually everywhere. Even now, vocal communication still continues to be an area of priority, and naturally, stakeholders like Google have been doing a lot of work on the Dialer application on our devices. And the newest update to Google Dialer will now automatically add the country code of phone numbers when it detects that you are roaming internationally. Since the inception of the smartphone, we’ve seen a number of improvements to the core dialer application. Things like Visual Voicemail and preemptive spam call prevention are helping people every single day but there still remains scope for further improvements and features. We recently talked about a new Google Dialer feature that adds various actions to a floating button for easier access. There’s even a way to recreate this using popular automated applications like Tasker and AutoTools. These things may not seem groundbreaking at first but they can add a level of convenience to the user experience that makes you wonder why they weren’t sooner. 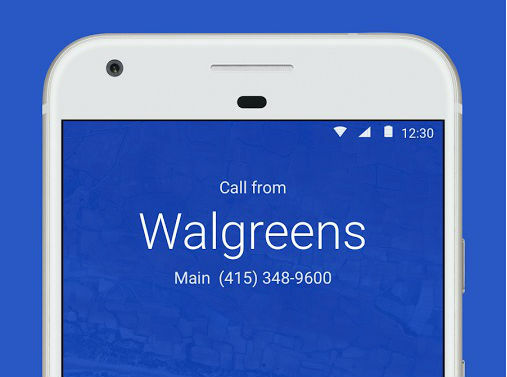 Google has continued on this trend with the Google Dialer as they were working to add actions to the in-call notification. They have even been working to improve the AOSP Dialer application for those who do not own a Nexus or Pixel smartphone. A couple of recent commits that we have discovered show that Google is adding an assisted dialing logic module to Google Dialer. With this, the app will be able to determine if you are currently roaming internationally when placing a phone call. If you are, and if you haven’t already typed in a country code, then Google Dialer will automatically add it in there for you. Again, definitely not a feature that many would consider groundbreaking, but it is something that can and will improve the user experience.